In the new ANSI A92.22 Safe Use and A92.24 Training standards, there is a new requirement that states that anyone who directly supervises a MEWP operator must also be trained. The new ANSI A92.22 standards for Safe Use and ANSI A92.24 standards for Training carry with them some major changes and substantial additional requirements for training, with new requirements for supervisor training. 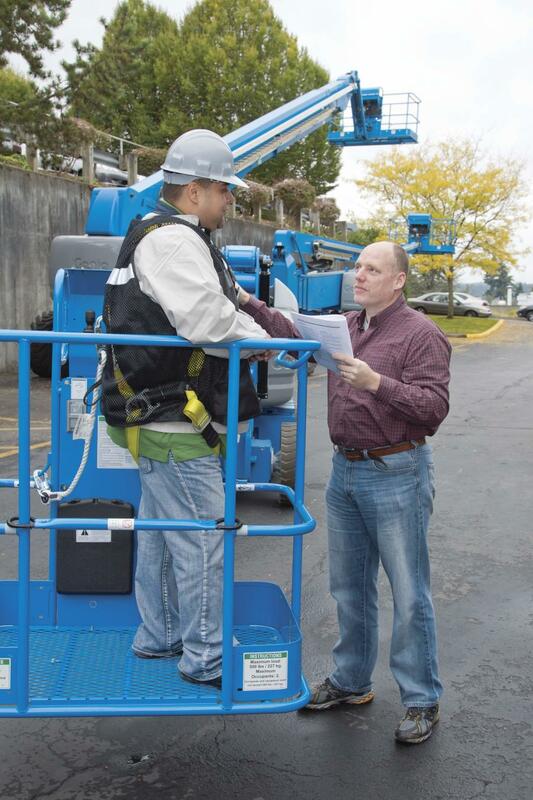 To help job sites be in compliance when the new standards go into effect in December 2019, the Genie Lift Pro Online MEWP Supervisor Training Course is now available. This course was developed specifically for supervisors and meets all of the requirements set forth in the new standards. "In the new ANSI A92.22 Safe Use and A92.24 Training standards, there is a new requirement that states that anyone who directly supervises a MEWP operator must also be trained," said Scott Owyen, Genie senior training manager, Terex AWP. "In keeping with our legacy of providing the highest level of support to our customers and the operators who use our equipment, our goal with this new course is to get jobsite supervisors up-to-speed with the new standards efficiently and effectively, while continuing to promote safety and the development of the proper mindset to safely operate MEWPs in today's busy work environment." The requirement for operators to read and understand the appropriate operator's manual prior to using a MEWP and knowledge that the manual must be properly stored in the weather-resistant compartment on the platform when not in use by the operator. The course includes a final exam and allows the individual to print out a certificate upon successful completion of the course. The certificate is then signed by the supervisor's employer as verification of course completion.